The dropper post category is crowded with almost every component company in the arena. That’s good for the rider, who now has lots of options instead of getting cornered into one $400 unreliable post. And the more things change, the more riders want a longer drop for their bike. The problem now is navigating the maze of insert lengths and extension maximums. The OneUp dropper is space efficient and can be shimmed to customize its drop height. 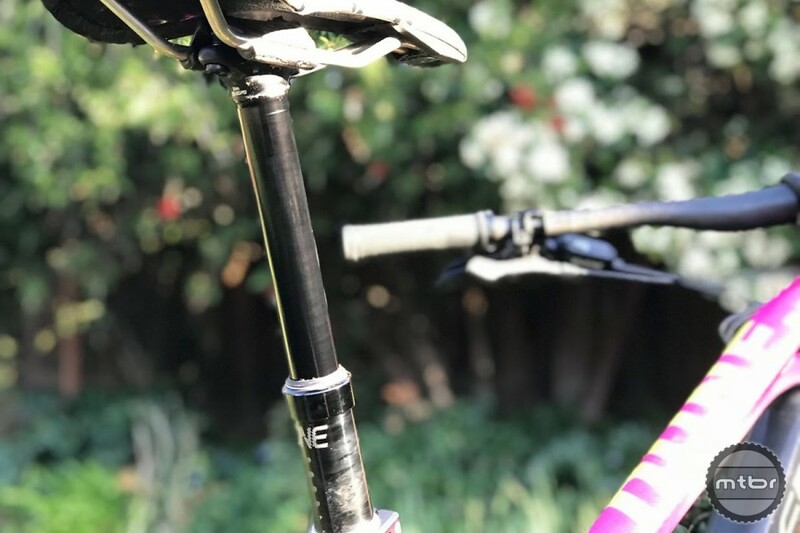 The good news is OneUp has introduced the most promising dropper we’ve seen to date. Three weeks in, we’re still impressed. The only wildcard now is reliability and serviceability. To learn more head over to www.oneupcomponents.com. The OneUp dropper is not only space efficient, it can also be shimmed to customize its drop height. Is it compatible with 3rd party remotes? Specifically looking to use a Wolftooth remote.